US Radiology is a leader in connecting the top radiology providers across the country. We are building a partnership—not just an alliance. Each group is a unique clinical entity, and always will be. But we come together to share ideas and best practices, ensuring that we are always on the leading edge of delivering best-in-class quality programs. Investing in infrastructure, integrating technology, and executing local and regional growth strategies across all partners—THIS is the next generation of radiology. Founded jointly by Charlotte Radiology, one of the nation's largest and most progressive private radiology groups, and Welsh, Carson, Anderson & Stowe, a leading healthcare investment firm, US Radiology seeks to provide partners with the resources they need to thrive in the rapidly evolving healthcare arena. We're growing this partnership day by day, connecting with like-minded physician practices and diagnostic imaging experts that believe in our model and share our values. Partners who see the opportunity to benefit from our resources and help drive this game-changing enterprise. Established in 1967, Charlotte Radiology is one of the nation's largest and most progressive private-practice radiology groups and an innovator in outpatient diagnostic imaging. Based in Charlotte, NC, Charlotte Radiology owns and operates 15 breast centers, two vein centers, two interventional radiology sites, and five free-standing imaging centers. Their 100+ subspecialized radiologists read more than 1 million studies annually for 14 hospitals, 30 imaging centers and a multitude of healthcare providers. Established in 1927 and based in Denver, CO, Diversified Radiology is a subspecialized group of 65 radiologists providing imaging interpretation and interventional care across the Rocky Mountain region. Diversified Radiology has earned national recognition for its best-in-class subspecialized teleradiology program that provides 24-hour coverage across the United States. Established in 1991 and based in Franklin, TN, Touchstone Medical Imaging is a leading provider of high quality, multi-modality imaging services to patients and physicians. Touchstone currently owns and operates approximately 60 best-in-class diagnostic imaging centers and partners with leading radiology groups and health systems to provide services across Texas, Colorado and Oklahoma, as well as additional sites in Arkansas, Nebraska, Florida and Montana. Since 1979, Welsh, Carson, Anderson & Stowe (WCAS) has been partnering with top management teams to build leading healthcare and technology companies. 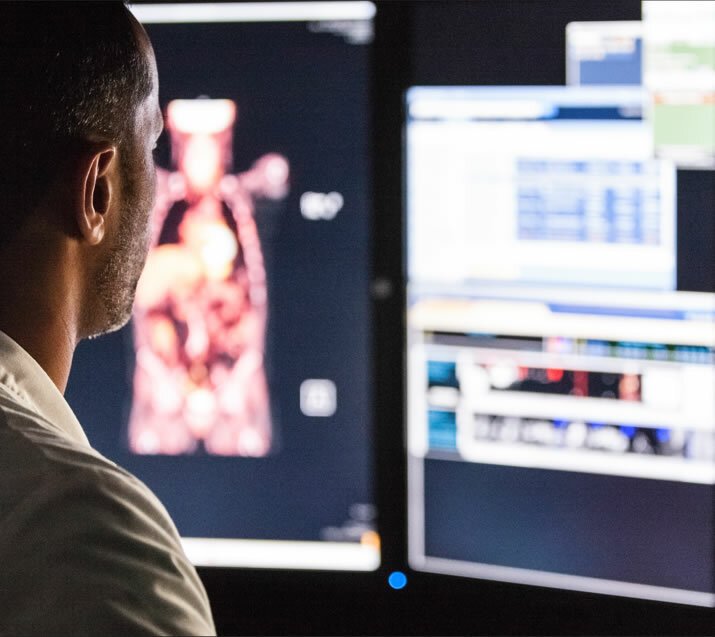 Their long track record of driving growth for physician practices across a range of specialties and total capital raised of $22 billion across 16 partnerships makes WCAS uniquely positioned to maximize the value of practices within US Radiology. Each member of the US Radiology team brings skills and experience critical to our collective success. We're here as resources for our partners, offering financial expertise, business leadership and operational support. Robert L. Mittl Jr, M.D. US Radiology is building the nation's premier radiology partnership. If your organization shares our values, let's connect. Dr. Bryant is a board-certified radiologist, subspecialized in both neuroradiology and diagnostic radiology. He joined Denver-based Diversified Radiology in 2003, after completing a radiology residency at the University of Colorado and a neuroradiology fellowship at the University of California – San Francisco. He's built a reputation as a leader in the Denver neurodiagnostic community, having participated in multiple research projects, publications in peer reviewed journals, delivered lectures locally, nationally and internationally, and earned the clinical staff teaching award at the University of Colorado. Dr. Bryant earned his degrees from University of Florida School of Medicine and University of Florida. Dr. Mittl is a practicing neuroradiologist and has served as president of Charlotte Radiology since 2012. He joined Charlotte Radiology in 1993 after completing a radiology residency and neuroradiology fellowship at the Hospital of the University of Pennsylvania, where he served as chief resident. Dr. Mittl also completed a residency in internal medicine at Barnes Hospital in St. Louis. He earned his degrees from Washington University School of Medicine and Yale College. Dr. Schmitz is a board-certified radiologist, subspecialized in pediatric radiology. He completed a radiology residency at Massachusetts General Hospital/Harvard Medical School and a pediatric radiology fellowship at Stanford University before joining Diversified Radiology in Denver in 2013. Dr. Schmitz has earned numerous honors and awards, including induction into the national medical honor society, Alpha Omega Alpha, and leadership roles with the American Medical Association and the New England Journal of Medicine. He earned his degrees from Michigan State University College of Human Medicine and Calvin College. Dr. Fromke, an accomplished radiologist subspecialized in body imaging, serves on Charlotte Radiology's Clinical Governance Board and Board of Directors. His planning and input have been instrumental to the governance of the practice and now, the shaping of US Radiology Specialists. Dr. Fromke joined Charlotte Radiology in 2001 after completing an abdominal imaging fellowship at Washington University's Mallinckrodt Institute of Radiology. He completed his residency there as well, serving as chief resident during his final year. Dr. Fromke attended the University of Minnesota's School of Medicine after graduating from Wheaton College. 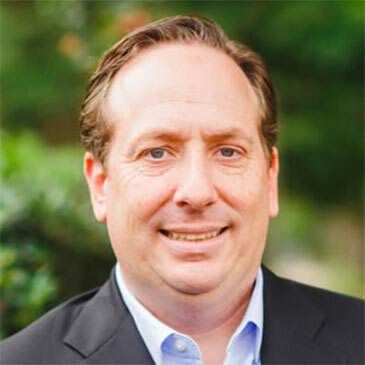 John has over 24 years of operating experience and a focus on growing and scaling high-quality healthcare companies. In 2018, he joined US Radiology Specialists as its Chief Executive Officer (CEO), and a member of the board of directors. 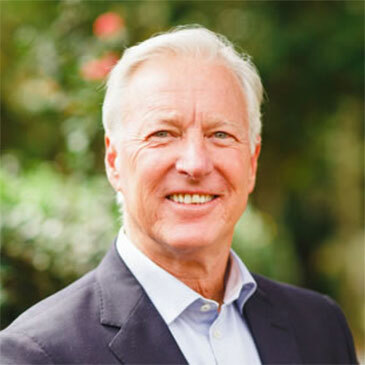 Previously, John was CEO and board member for Bio Products Laboratory (BPL), a global plasma protein therapeutics company with over 3,000 employees across 45 countries. John led the team that transformed BPL resulting in a 400% increase in value. Prior to becoming CEO of BPL, John was an operating partner for Bain Capital, the financial sponsor that backed BPL. Previously, John was the Executive Vice President of Global Commercial Operations for Talecris Biotherapeutics where he led the team that increased sales from $800 million to $1.6 billion. 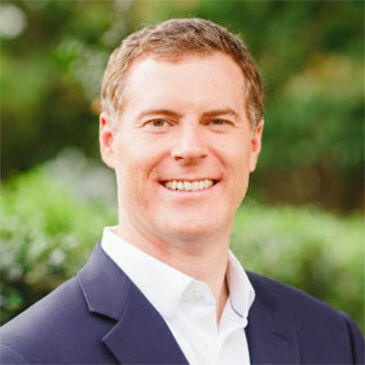 John also played a significant role in Talecris' Initial Public Offering (IPO), and was instrumental in increasing Talecris' value 40 times to $4 billion. John started his career at General Electric, where he held a variety of operating and M&A roles. He is a graduate of GE's Management Development Program. John received his BA from DePauw University and earned his MBA from Northwestern's Kellogg School of Business. Wood brings extensive experience in human resources, legal and marketing. After graduating from law school, Wood completed a two-year federal judicial clerkship and joined Troutman Sanders, a full-service international law firm with over 650 attorneys. He joined McKesson as chief employment counsel in 2007. In 2011, he stepped out of his legal role for a unique opportunity to build two enterprise-wide HR organizations as part of a McKesson HR transformation. For three years Wood led the design, implementation and ultimately the operations of those organizations before he was given a six-month international assignment centering on the acquisition of a $30 billion German company. Wood's next role was as HR leader for a McKesson technology business unit. He later assumed leadership of the business unit's marketing team as well. Wood earned a bachelor's degree from Duke University and his J.D. from the University of Georgia School of Law. Before joining US Radiology Specialists, David had a long tenure with McKesson, holding various finance management positions. He joined McKesson in 2007 as finance director for US Pharmaceutical. In 2010, he was promoted to the role of senior finance director and finance lead for US Pharma's south region, based in Tampa, FL. He went on to serve as chief financial officer, first for McKesson Pharmacy Systems and Automation in Pittsburgh, PA, then for McKesson Specialty Health in The Woodlands, TX. Prior to his time with McKesson, David worked as a Big 4 consultant and as finance manager in the cable and consumer electronics industry. He earned his undergraduate degree from Southern Methodist University and his MBA from Washington University. Chris joins US Radiology Specialists with 20 years of experience in healthcare sales and marketing. After earning a bachelor's degree in pharmacology and toxicology from the University of Wisconsin's School of Pharmacy, Chris held various sales and marketing roles with Eli Lilly and GlaxoSmithKline. He went on to earn his MBA from the Kellogg School of Management at Northwestern University and transitioned into a marketing role with GSK. 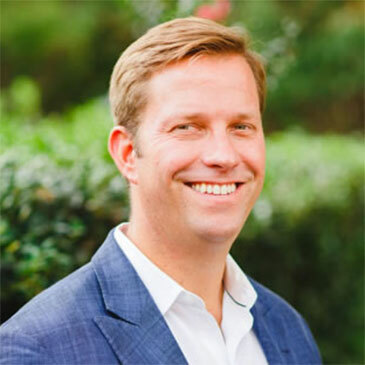 Over the past 10 years, Chris has served in marketing and brand management roles at Talecris Biotherapeutics and Grifols, and was most recently vice president of marketing for Bio Products Laboratory. As senior vice president of revenue cycle management, Chris is responsible for leading and cultivating RCM services for our national radiology platform. 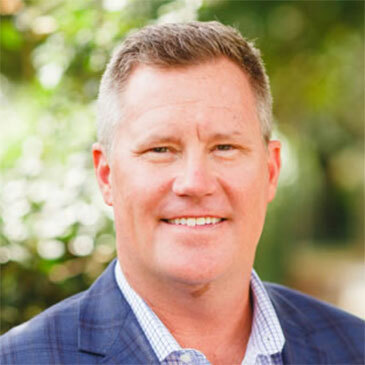 With 20 years of experience in RCM operations, technologies, business intelligence tools and physician relationships, Chris comes to US Radiology Specialists from Change Healthcare (formerly McKesson Technology Solutions), where he served as senior vice president and general manager of physician RCM services. There, he provided leadership and expertise for operations, client services and sales. 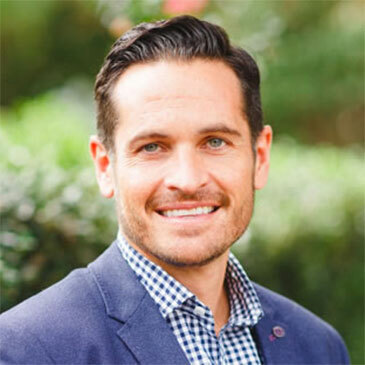 Chris is a graduate of the University of Missouri - Columbia, where he earned a bachelor's degree in biology and a master's in health administration. 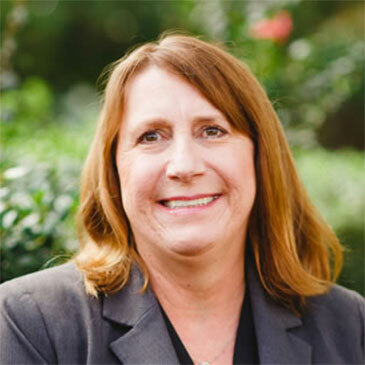 With 30 years of healthcare experience, Diane brings expertise in managed care contracting, contract compliance, and decision support for hospitals, ancillary services, home health services and physician practices. She enjoyed a 23-year tenure with BayCare Health System, serving most recently as vice president of managed care before joining us at US Radiology Specialists. Diane has also served as president of the Florida Hospital Association of Managed Care Professionals. She's a 2012 graduate of the American Hospital Association Health Care System Transformation and a 2013 faculty member. She earned her degree from Walsh College of Accountancy and Business Administration. Julie has more than 15 years of healthcare legal experience, both in-house and in law firm settings. She joined Charlotte Radiology as chief administrative officer and general counsel in 2013 and transitioned to general counsel for US Radiology in 2018. In addition to advising the board and senior leadership as general counsel, she has provided executive leadership over human resources, compliance, quality and risk, leading key restructurings that have positioned the organization for growth. 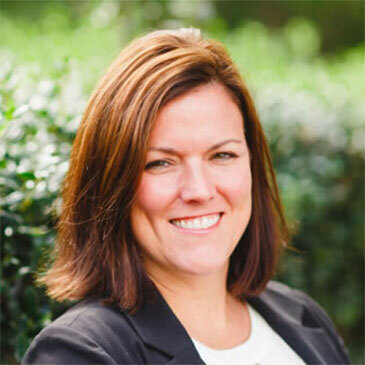 Previously, Julie served as associate general counsel for Carolinas HealthCare System (now Atrium Health) and practiced in the Private Equity/M&A Group at Kennedy Covington (now K&L Gates). She earned a J.D. from the University of Michigan and was a Morehead-Cain scholar at the University of North Carolina at Chapel Hill, where she studied political science and economics. With over 30 years of experience in radiology and healthcare, Mark is an industry expert in strategic planning, finance, organizational development and physician practice management. As chief development officer, he's bringing together industry standouts to create the next generation of private radiology practice. Prior to his current role, Mark served as CEO for Charlotte Radiology, transforming the small-market physician group to a nationally renowned, 100-physician, multi-state practice—the founding practice of US Radiology Specialists. Mark also served on the board and shaped the vision for Strategic Radiology, a national consortium of 24 clinically advanced radiology groups serving more than 250 hospitals, 625 imaging centers and 40 states. Capitalizing on industry trends, he spun off an innovative medical billing firm called Medical Billing Experts, where he served as chairman of the board of directors, as well as interim president. Mark earned an accounting degree at the University of Alabama and an MBA from Miami University. © 2019 US Radiology Specialists, Inc. All Rights Reserved.